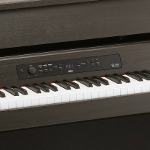 AC-G1air-BR The Korg G1 air is a contemporary, slim line digital piano with KRONOS piano technology combined with bluetooth caabilities and a simple intuitive operation. It is an ideal home piano for learners and professionals alike. 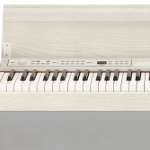 AC-Havian30 The Korg Havian 30 with free wooden stand for a limited time. This piano combines great piano playing tones and feel with Korg PA series arranger for a versatile multi-purpose instrument for pianists and keyboard players alike. 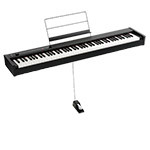 AC-G1Air-Bk The Korg G1 air is a contemporary, slim line digital piano with KRONOS piano technology combined with bluetooth caabilities and a simple intuitive operation. 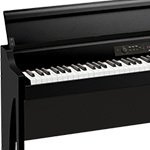 It is an ideal home piano for learners and professionals alike. 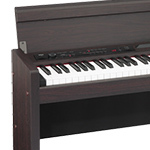 AC-D1BLK Korg D1 is a high quality portable piano with wooden case design, RH3 real hammer piano action and full size audio output connectors. Finance available. AC-grandstage88 The Korg Grandstage 88 is a truly stunning portable stage piano. It boasts seven different sound engines with the piano engine offering some of the best pianos from around the world. 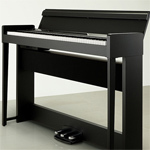 Grandstage 88 comes complete with adjustable stand and sustain pedal all ready in a complete package. Musical instrument finance available on-line. 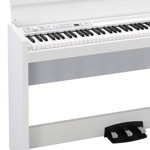 AC-G1AIR-WH The Korg G1 air is a contemporary, slim line digital piano with KRONOS piano technology combined with bluetooth caabilities and a simple intuitive operation. It is an ideal home piano for learners and professionals alike. AC-grandstage73 The Korg Grandstage 73 is a truly stunning portable stage piano. 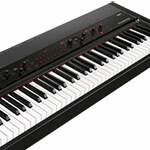 It boasts seven different sound engines with the piano engine offering some of the best pianos from around the world. 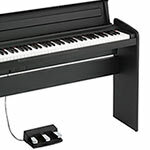 Grandstage 88 comes complete with adjustable stand and sustain pedal all ready in a complete package. Musical instrument finance available on-line. 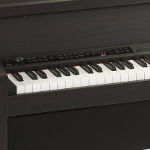 AC-LP180BK The Korg LP180 digital piano is a compact size with a stylish wooden stand and finished in a modern satin black. 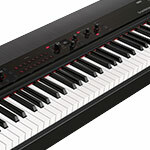 The instrument has a natural weighted piano action with 10 high quality sounds. 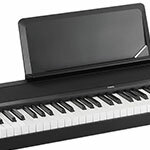 Finance available..
AC-CB-SV1-88 The Korg CB-SV88 is a dedicated case for the SV1-88 portable piano. The case has pockets specially for the SV1 Stand along with pedals and cables. AC-SV188BK Housed in a sleek, curvaceous body, the SV-1BK offers an elegant on-stage appearance. Coupled with retro-style controls and smooth black finish, the SV-1BK oozes desirability � and playability! AC-LP380RW Kprg LP380RW. 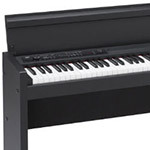 Slim-line digital piano with high quality sounds and piano key touch The Korg LP380 has a surprisingly big sound from a small frame..
AC-SV1-73-BK Finished in black the Korg SV1-73 Stage piano is now more sleek then ever before. RX technology combined with Korg Valve technology and portability make a precise gigging instrument. 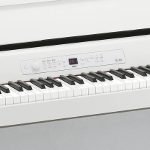 AC-SP280White Designed with special attention to detail on the pianos and electric pianos the Korg SP280 piano also utilises the new NH graded piano action and weighs 30% less than the previous SP250.